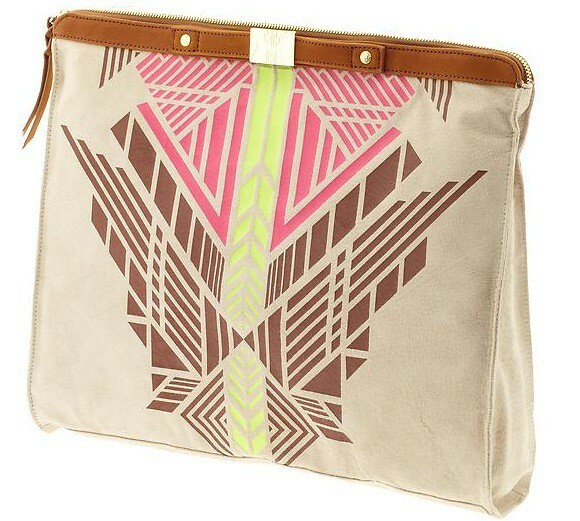 I'm currently coveting this Cynthia Vincent tribal print banker's clutch. How cute is this clutch for the summer months? It would basically go with everything I wear as I have a neon and neutral obsession. Tribal print is also popping up all over the place so this little beaut would be just the dollop of trendiness you need to spice up your pieces from last year! If only it were half the price (I know, I know, I say that about everything but it's true! You wont catch this girl buying anything at full price because I have been enlightened/horrified by besties in the accessories business about the real cost of things). That is seriously so cute!! This is the cutest clutch! I love the tribal trend for spring. I don't really have anything in it yet, but a clutch is a perfect place to start! LOVE this clutch. The tribal accents and bright colors are so pretty! And now I am coveting it as well!